The Foundation was established in 2011 and is a registered non-profit organization in the state of Michigan. We are a consortium of 911 stakeholders from all walks of life but with one deep concern that unites us: the health of our nation’s 911 dispatchers (or Public Safety Telecommunicators, PSTs). In accordance with recent research findings (Troxell, 2008; Lilly and Pearce, 2012; Lilly, 2014) the 911 Wellness Foundation (911WF) recognizes PSTs face high risk of stress-related illness related to the extraordinarily stressful nature of their work. Our mission is to foster their optimal well-being, quality of life and work performance through strategic, systematic long-term pursuit of research, education, policy development, and intervention, in collaboration with other 911 stakeholders. For more information about our Mission, click here. Our Founding Board of Trustees includes 911 professionals with rich and varied backgrounds joined by experts in mental health, and organizational behavior & management. The board looks to its Council of Subject Matter Experts (CoSME) for additional expertise (see list and pictures below). 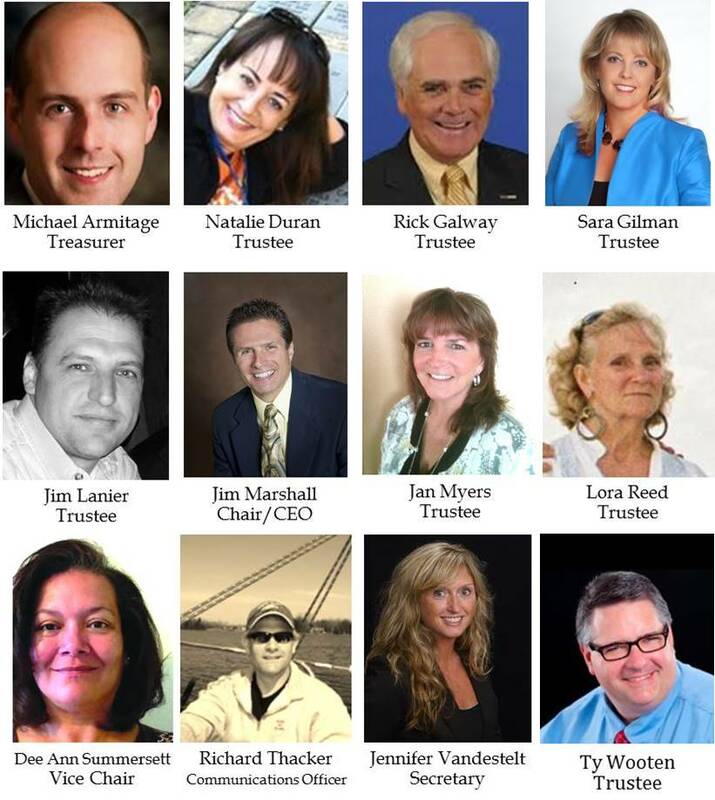 The names of our board members are listed here. They are accompanied by the names of their employing agencies or primary professional affiliations without implying endorsement by these organizations of the 911WF, its mission, or its position on issues addressed. Sara Gilman, MFT, PhD (candidate), Marriage and Family Therapist, Owner/President, Coherence Associates Inc. Encinitas, CA. Jim Lanier, MS, ENP, Chief, Emergency Communications Center, Manatee County Department of Public Safety, Bradenton, FL. Jan Myers, MA (Candidate), Training Coordinator, Oregon Department of Public Safety Standards and Training (DPSST), Salem, OR. Lora Reed, PhD, President, Peace Offerings, Bradenton, FL. Council of Subject Matter Experts (CoSMEs): we are currently building this council to include individuals with expertise related to: 911 operations (frontline dispatchers, supervisors, managers and directors), psychology, organizational behavior and management, medicine (researchers and practitioners in all specialties addressing stress-related illness), public policy and legislative affairs, PSAP technology specialists and vendors of NG911 technology (research, development, and field representatives); and, experts in government relations/legislation/rules promulgation; research methodology; journalism; media/marketing; grant procurement; and charitable fund raising. Council members will join with the board of directors to fulfill projects within the Foundation’s four Streams of Activity. While a portion of CoSME work may be volunteered, major projects will be grant- supported by our membership, private donors and corporate citizens. If you have experience and expertise in any of these areas and wish to be considered to serve on our CoSME, or if you are interesting in volunteering or helping the Foundation financially, please email Jim Marshall: 911wellness@live.com. Articles and documents written or reprinted on this blog by James Marshall, other Foundation board members or members of our CoSME represent their individual views unless otherwise stated. Official statements of the 911 Wellness Foundation require approval by consensus of the Board. Our board and CoSME members hold varied views and engage this blog as a forum to express these, all in the interest of our shared cause–advancing dialog and action upholding the health of 911 telecommunicators. The 911 Wellness Foundation is filling a great void in Public Safety Communications that has been needed for far too long. For those of us committed to Public Safety Communications, the 911 dispatchers and their health and well-being, the foundation brings validation and recognition to the important role the 911 Telecommunicator has in delivering emergency services. It takes a unique individual to handle the demands and high stress environment in 911 Communications. The intensive knowledge, skills, abilities and training needed to perform at their best day in and day out while handling a wide array of incidents and callers from all ages and various emotional levels. As evidenced by history and these recent tragedies, more needs to be done to educate and support our 911 families that are there in time of need. Day after day the 911 Telecommunicator is there to answer the call; they are the true First, first responder. They are also an integral part of the emergency services response, interacting with police, fire and ems personnel, along with a wide variety of other professionals to provide help to those in need, whatever those circumstances may be. We are fortunate to have the 911 Wellness Foundation now helping to foster the health and well-being of the 911 Professionals through research, education, intervention, and policy. Thank you for recognizing the need, choosing a path, following through and coming to the aid of the dedicated, committed and amazing individuals that are there to answer the call on a daily basis. Michael, this is Elaina the creator of 911 Dispatchers with PTSD (https://www.facebook.com/pages/911-Dispatchers-with-PTSD/151477228349793?ref=hl#!/ ) As I am trying to get word out about my page I truly want to make an effort to try to spread the word as much as possible. I posted your link on my page. If you wouldn’t mind returning the favor so word can spread about us and we can help others also. I would like to add to this group and consider the Nation’s Poison Center staff who answer poisoning calls and manage cases in the ER/ICU/Hospital with the physcian’s caring for the patient’s. It is very stressful fast paced career. There is a high turn over in staff, we work short all the time. Absolutely! While the 911 Wellness Foundation specifically targets support for 911 telecommunicators, I would agree that any group of individuals who serve as the frontline in responding to crisis calls–including Poison Center staff deserve specialized support. And high turn-over, while perhaps due to many factors in any given organization, is certainly an established symptom of chronic stress. This is just being explored in the 911 industry and is one of those areas of work to which 911WF is dedicated. Thanks much for your post. As you visit our blog/website here, let me know if there is anything else we can do to support your cause too.